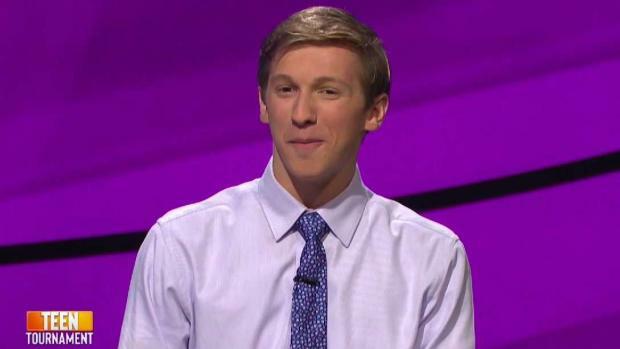 Jack Izzo, a senior at Scripps Ranch High School, is among 15 teenagers currently competing in the 2018 Jeopardy! Teen Tournament airing on NBC. 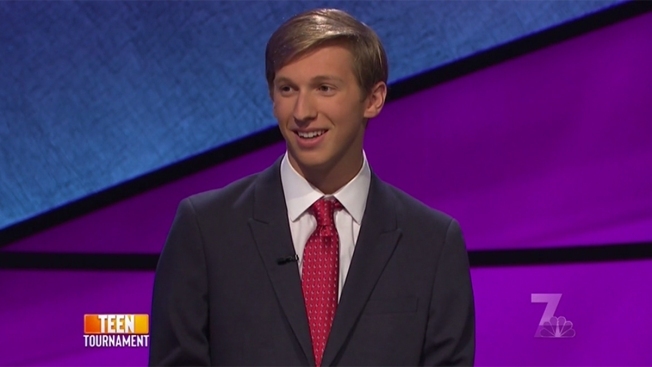 A senior from Scripps Ranch High School – who, turns out, can solve the Rubik’s Cube while blindfolded – represented the region well in the semi-final “Jeopardy!” Teen Tournament Thursday, but was eliminated from competition Thursday night. Jack Izzo was among 15 teenagers competing in the 2018teen tournament airing through Nov. 20 on NBC. There will only be one winner as the teens vie for a $100,000 prize. Izzo was $6,600 behind fellow teen challenger Maya, and several thousand dollars ahead of Caleb, when a Daily Double gave him an opportunity to put pressure on the leader. He wagered $6,000 on this question: "As parties choose a nominee for president, the two main contest types are primaries and these, where voter give support openly." If you had "What are caucuses?" on your mind, you're right. Unfortunately, Izzo didn't and fell to last place. He wasn't able to make up the lost ground, but at least he got to share a little bit about his hometown before bowing out. While introducing Izzo, host Alex Trebek mentioned how Izzo competes on the swim team at his high school which, oddly enough, doesn't have a pool on campus. 'Jeopardy!' host Alex Trebek chats with Scripps Ranch HS senior Jack Izzo about competing on the swim team at a high school that doesn't have a pool on campus. Izzo explained the dilemma and shared how a generous local community college saved the day, but not without a tablet of advice. Izzo made his debut on Monday in the quarterfinals of the tournament. As host Alex Trebek was getting to know Izzo, the teen shared that, for fun, he is able to solve the challenging Rubik’s Cube puzzle while blindfolded. “Aw, come on!” Trebek quipped, as the audience laughed. Back home in Scripps Ranch, fans held a viewing party at Yanni’s Bar & Grill in support of the standout hometown student. Izzo was up against Tim Cho, of Champaign, Illinois, and Rhea Sinha, of Chatham, New Jersey. The competition was fast and fierce, and Izzo fared well. “What is 'Things Fall Apart,'” said Izzo. He also won $1,600 in the “Theme Parks” category. “'Harley Quinn Spinsanity' is the newest ride at this park 'over Texas,'” Trebek said. “What is Six Flags,” Izzo answered correctly. After a half-hour of rapid-fire trivia, it was time for “Final Jeopardy!” in the category of "International Groups." Izzo was in second place as he went into the final round with a bank of $16,800. Cho, holding onto first place, had earned $17,400, while Sinha had earned $11,800. “The 'economic bloc' known as the G8 became the G7 in 2014 upon the expulsion of this country,” the trivia statement read. The teenagers had 30 seconds to answer. Sinha was knocked out of the game with a wrong answer. He wagered a conservative sum of $1,200, which left him with $18,000. Cho also answered correctly but risked far more of his earnings, $16,201, plumping his bank up to $33,601 and securing his spot as a semi-finalist. Fans can keep an eye on the results on the Jeopardy! website. Izzo said he's enjoyed his time on the show and having a lot in common with his fellow contestants. “All of the other contestants were really, really awesome and it was just really fun to sit and talk about literally anything,” Izzo said in a video previewing the show.